If you want to see in more detail what is included, here are the The Source 2016 Contents – or browse the Projectives page. 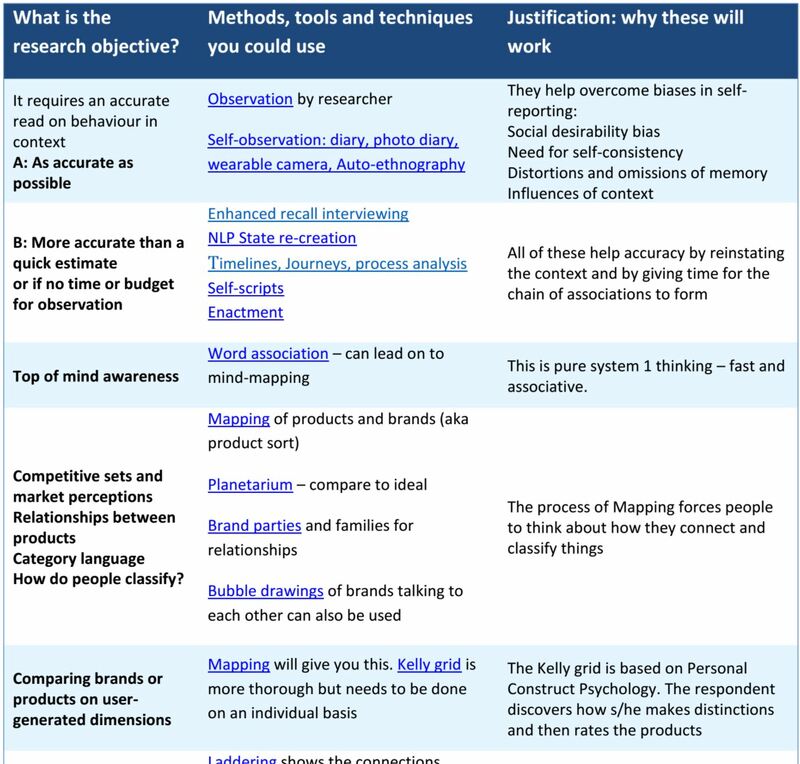 Find the technique you need for every qualitative research challenge. Write more interesting proposals, get deeper insights. Research participants can be frustrating. They are not very good at remembering details. Or explaining exactly why they do something. It’s their favourite brand because they ‘like it’. Obviously. 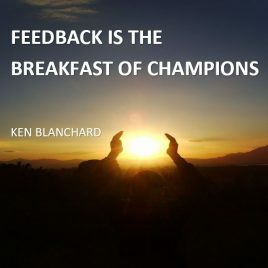 And when you show them something new they pick on words or pictures to criticise. 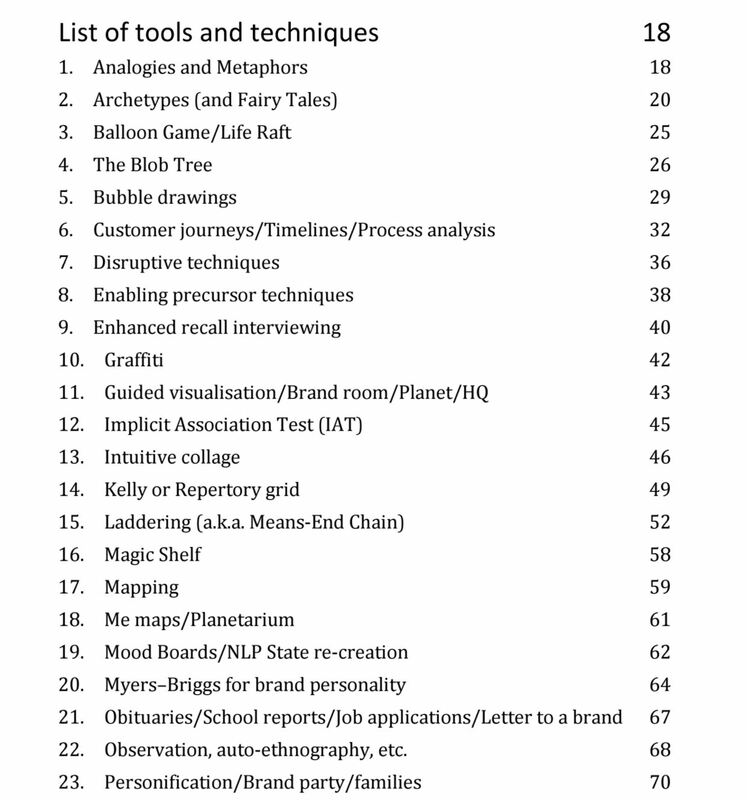 So every researcher needs a toolbox of techniques to go beyond the obvious, to reach deeper, to help participants talk about the things they didn’t know they knew. Many people rely on their tried and trusted favourites, because its hard to find inspiration when you need it. And clients can be skeptical – are you sure its going to work to get the insights you require? Isn’t it easier just to ask the questions? The Source is your go to for inspiration and explanation. Download and use immediately. Easily print out A4 pages of technique instructions for reference. Contains a 3 page guide to quickly identify the right technique and get to the instructions on how to use it. Be inspired by a list of over 30 tools and techniques for more creative proposals. 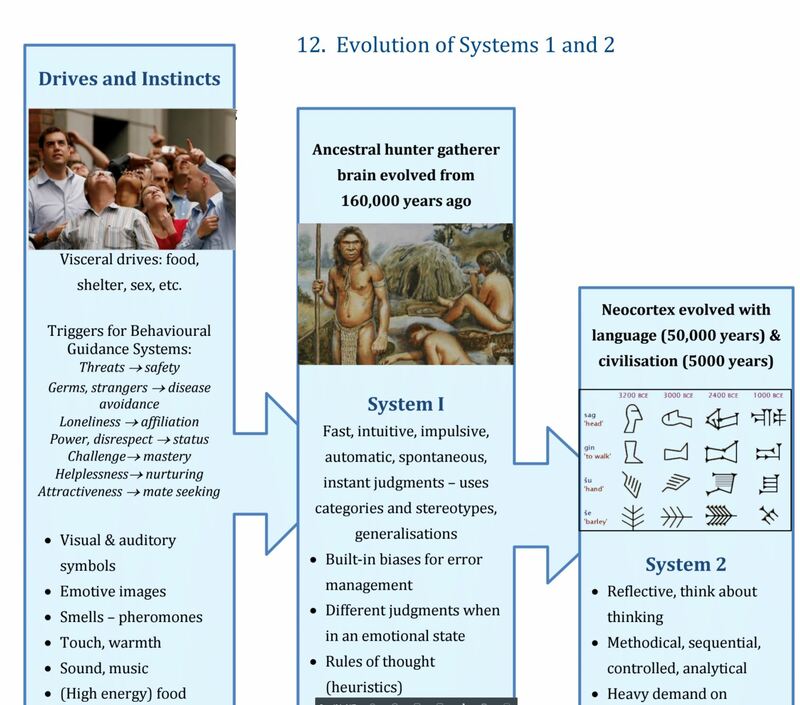 The Source goes beyond traditional projectives to include the Implicit Association Test, Observation and Auto-ethnography and Enhanced Recall Interviewing. 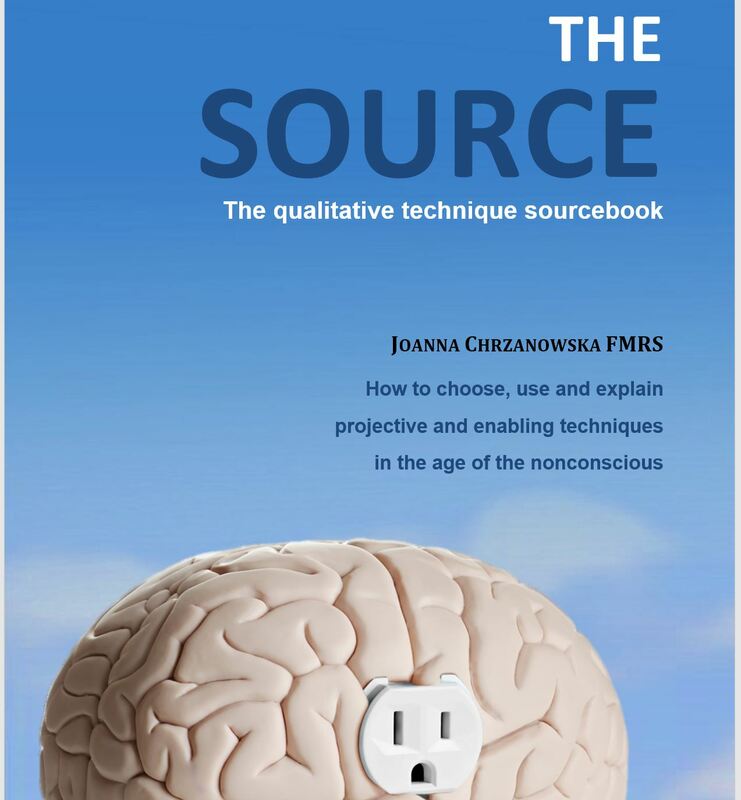 The Sourcebook has been updated to reflect the latest thinking about the nonconscious. If you purchase by card, you will get a download link straightaway. Don’t worry if you are asked to enter a shipping address – the product is downloadable and not physical. 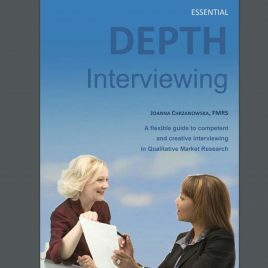 Thank you, Joanna, for giving qualitative researchers such a rich sourcebook! 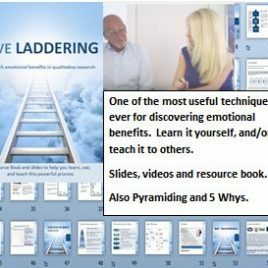 It’s a wonderful gift, jammed-packed with techniques from a highly accomplished and seasoned practitioner’s perspective. The casual style invites the reader to dive right in, and the descriptions, applications, illustrations and caveats make the content accessible and practical. 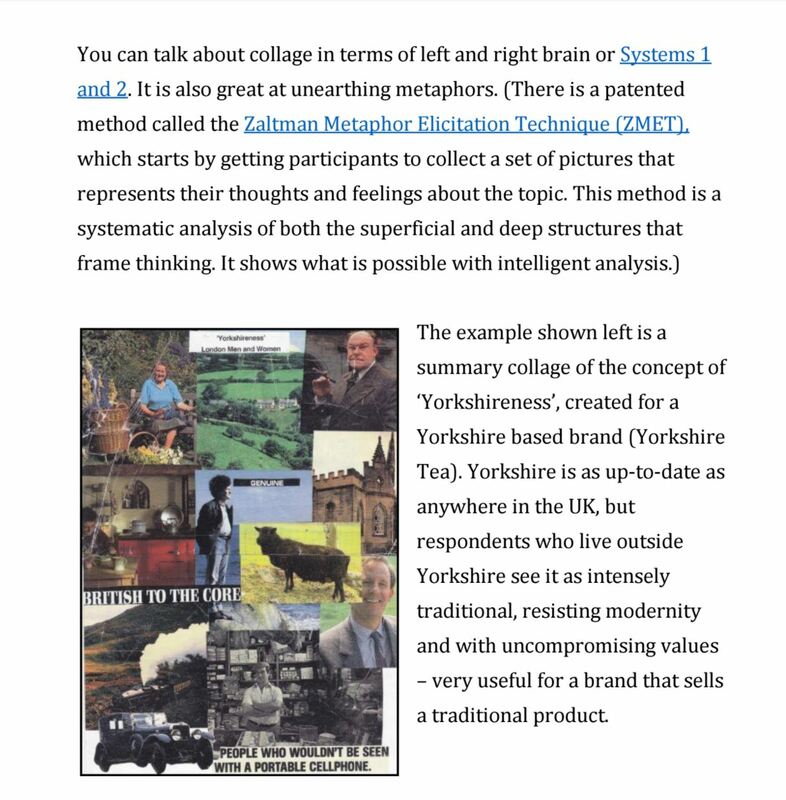 I especially love the summary of the key theories that are the raison d’etre for the techniques, theories that are foundational for anyone doing serious qualitative research today. 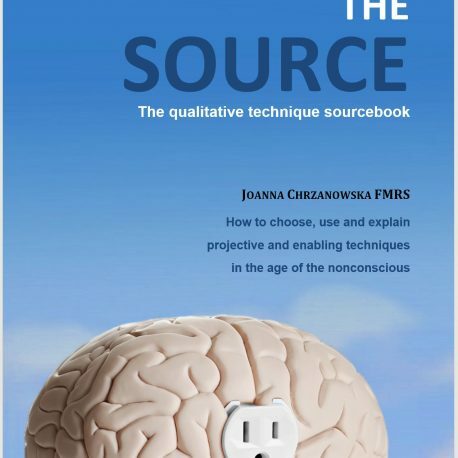 I highly recommend “The Source” for all qualitative consultants who want incorporate into their practice the latest, essential thinking from the world of the unconscious. This is a rare example of genuine expert content at an accessible price. There is so much downloadable content available online these days but so little of real value – this is the exception! It is well-written, packed with solid down-to-earth advice and rooted in deep theory. 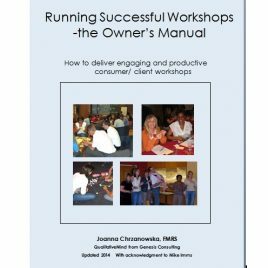 I recommend it to anyone with an interest in customer understanding.